2018 Results Gallery Race Day Info Sponsors 2019 Registration Contact Find Us! 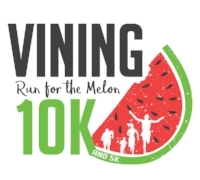 Kick off Watermelon Day 2019 with a Run for the Melon! New in 2018, finisher medals! Preregistered participants are guaranteed a T Shirt in their size!